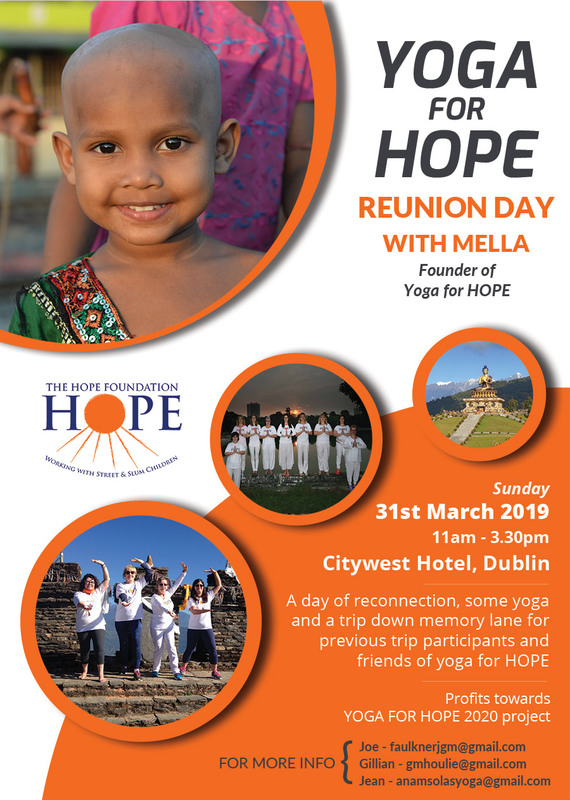 We are delighted to announce a Yoga for HOPE Reunion Day will take place on Sunday 31st March in the Citywest Hotel, Dublin! The event will be hosted by yoga teacher and dedicated supporter of The Hope Foundation Mella Murphy, who founded the Yoga for HOPE trip in 2009. This will be a wonderful day of re-connection, some yoga and a trip down memory lane for previous trip participants and friends of Yoga for HOPE. All profits from the event will go towards the YOGA FOR HOPE 2020 project. For more information about the reunion please email one of the organisers below. We look forward to seeing you there!